One of the most appealing things about an SUV is its cargo hauling capability. Which is why if you are considering an SUV or one of its crossover cousins you might want to include the Dodge Durango on your list. When it comes to providing passengers with nice room for themselves and their stuff, the Durango is among the best in its class. Even those riders relegated to third-row seats get decent space. Launched 20 years ago as a midsize SUV built on the Dodge Dakota platform, the Durango grew a bit as it moved into its second generation as a 2003 model and after taking a year off from production, the 2011 model added a third row of seats in moving the Durango into its third generation. 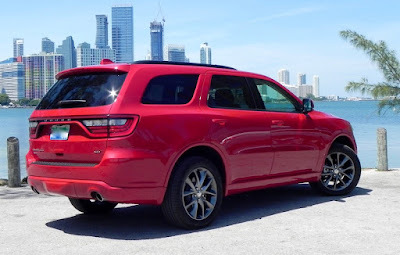 The Durango was updated for 2014 and for 2017 a new trim level dubbed the GT is being introduced to replace the Limited model in the Durango lineup to go with the base SXT, SXT-Plus, Citadel, and R/T trims. Late this year, the company also will have in showrooms an SRT version as a 2018 model packing a 6.4-liter HEMI V8 that pumps up performance to 475 horsepower and 470 pound-feet of torque. The company says it will have a towing capacity of 8,600 pounds and a zero-to-60 time of under 4.5 seconds, which is borders on the unbelievable in a vehicle that offers three rows of seating. 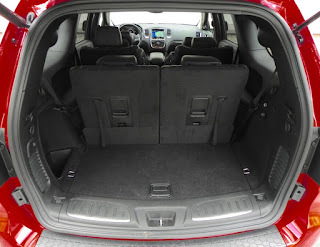 But getting back to what I first was talking about, which was hauling stuff and not hauling you-know-what, the Durango provides passengers with good room in all three rows (38.6 inches of legroom for the second row, 31.5 inches for the third). 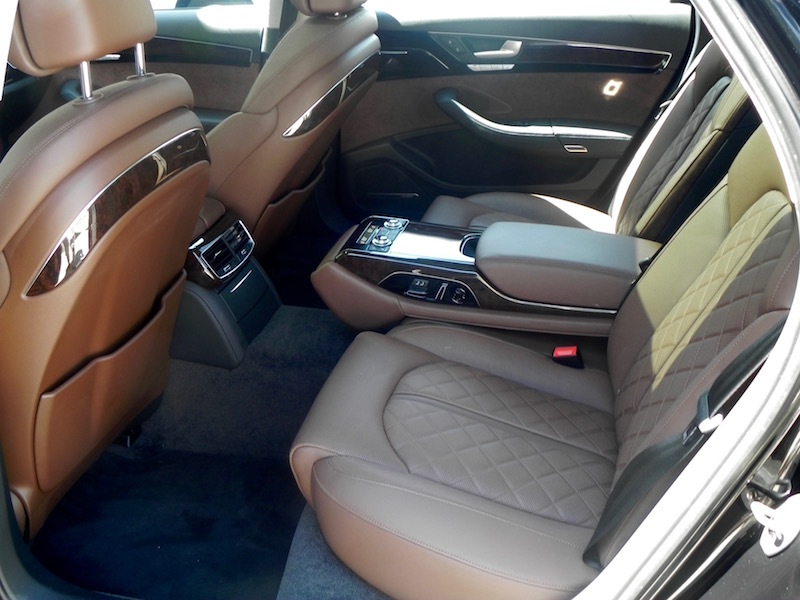 With optional captains’ chairs ($995) in the second row instead of the usual 60/40 split bench seat, third-row occupants also pick up a little more knee room from the open space in the middle. It just seems less cramped. And it doesn’t skimp on cargo space. With the two third-row seats in place, capacity in the far back is 17.2 cubic feet, good to handle a standard grocery run. Fold them flat and that opens up to 47.7 cubic feet. Maximum cargo space with the second row folded is 84.5 cubic feet, which is surpassed by only the biggest full-size SUVs on the market today. Encompassing all that space is an interior that I would describe as “spartan sophisticated” that complements a bold, in-your-face exterior. By that I mean a cabin that doesn’t hit the level of luxury but with leather trimmed bucket seats (either Capri leather or Nappa leather is standard on all but the SXT trim, which gets mesh cloth), a leather-wrapped steering wheel that is pleasant to the touch, rear-park assist and backup camera and a version of the company’s UConnect telematics, including one that features navigation (again standard on the upper trims), the Durango is pleasing to the eye if not luxurious. Such options as a Customer Preferred Package that included Beats premium audio, navigation, and power sunroof and power rear lift gate plus a rear entertainment center, trailer tow group, safety features like blind spot and cross path detection, and a power tilt-and-telescoping steer wheel nicely topped off the features of the Durango GT that served me for a week. 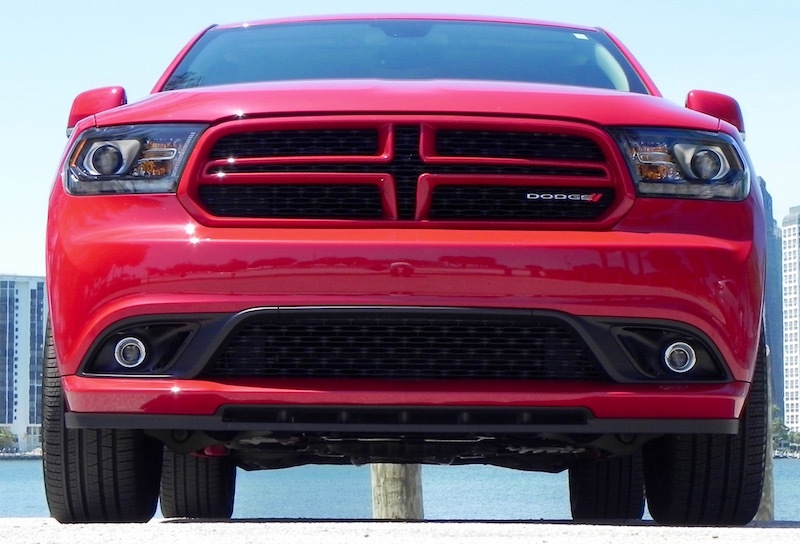 Mechanically, the Durango offers two different engines. A 3.6-liter Pentastar V6 engine (295 horsepower, 260 pound-feet of torque) is standard for the SXT, GT, and Citadel trims and a 5.7-liter HEMI V8 (slightly smaller than what will be in the SRT and tuned to 360 hp and 390 lb.-ft. of torque) is standard on the R/T and available on the Citadel. 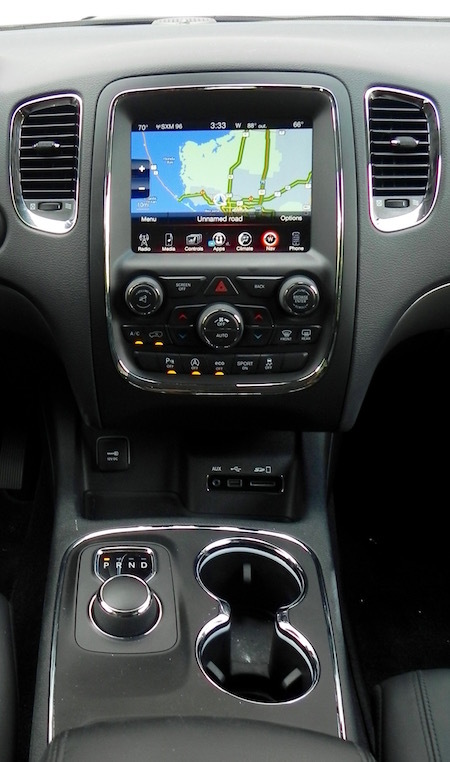 An 8-speed automatic transmission with steering wheel-mounted paddle shifters for manual gear selection is standard on all trims, and all trim lines are available with all-wheel drive in addition to the standard rear-wheel configuration. Towing capacity is 6,200 pounds for V6 models with either RWD or AWD, 7,400 for RWD V8s and 7,200 for AWD V8s. As for fuel mileage, the V6 is rated at 19 miles-per-gallon city, 26 highway, and 21 combined with RWD and 18/25/21 with AWD. Figures for the V8 are 14/22/17 with RWD, 14/22/17 with AWD. Considering the V6 provides adequate punch for everyday tasks, I’d go with that over the V8. And if you really want that extra power, just save up over the next few months while waiting for the SRT. 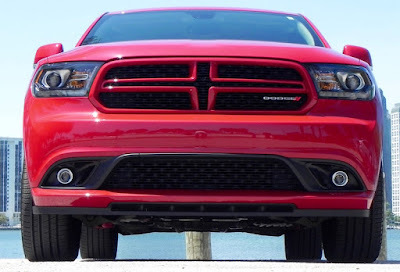 MSRP for the Durango starts at just under $30,000 for the SXT and runs to nearly $45,000 for the R/T V8 with AWD. The GT that I had featured AWD and started at $40,095 but with all the extras added, plus the destination and delivery charge of $1,095, it topped out at $49,065. 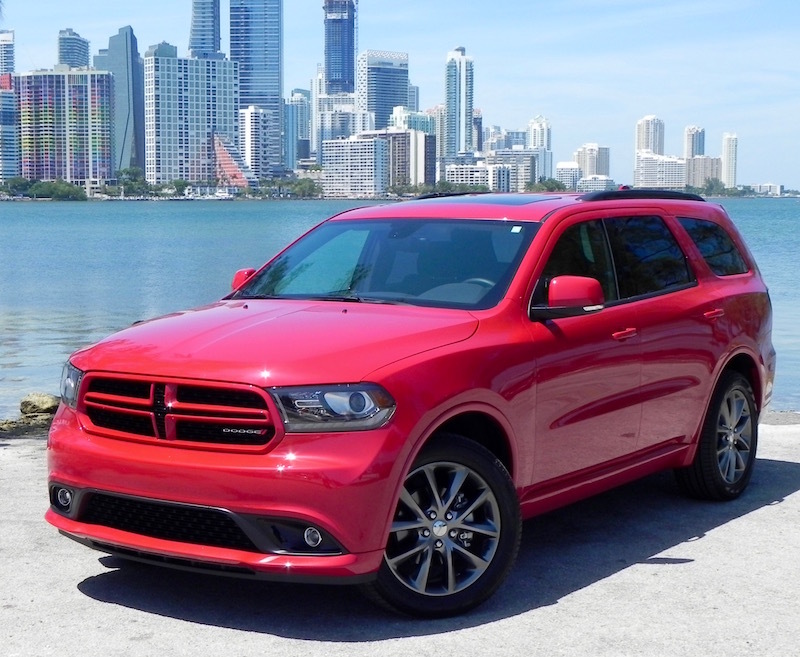 The low end is a bargain but, of course, lacks many of the features that give the Durango some advantages over its competitors. The high end is just that — high end. 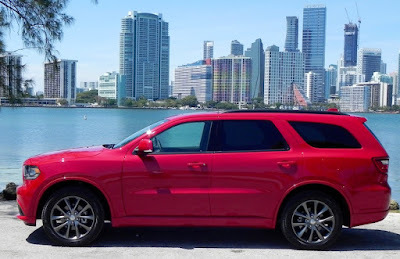 What I liked about the 2017 Dodge Durango GT: It doesn’t have the feel of a vehicle of its size when it comes to handling, and the ride is comfortable and quiet. 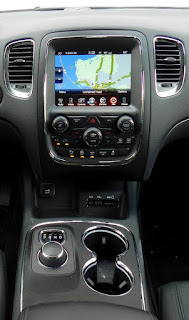 The real plus is the simplicity of operation of infotainment systems like audio and navigation. Very, very intuitive. Also, you can turn off the annoying start-stop system that shuts down the engine when you come to a complete stop. 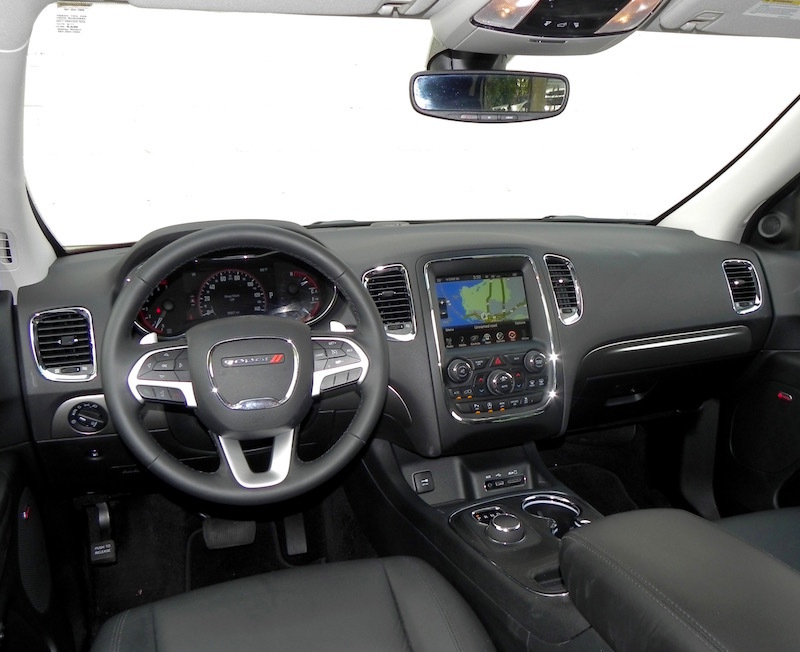 What I didn’t like about the 2017 Dodge Durango GT: The center console is on the small side, especially for an SUV, and doesn’t offer as much in the way of stowage as the optional second-row console ($300) that rests between the two captain’s chairs. Would I buy the 2017 Dodge Durango GT: I don’t have the need personally for a three-row SUV, but yes, I would at least take a look if I were shopping in the segment. A full redesign of the Audi A8L sedan is in the works for 2018, and if the 2017 model is any indication, the new version should really be something. 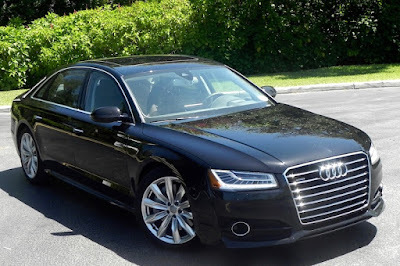 Serving as Audi’s flagship vehicle for over 20 years, the A8 doesn’t garner the attention or plaudits of its Teutonic brethren in the full-size, luxury sedan segment, but it is every bit the equal of the Mercedes-Benz S Class or BMW 7-Series when it comes to sophistication, performance, comfort, and good looks. 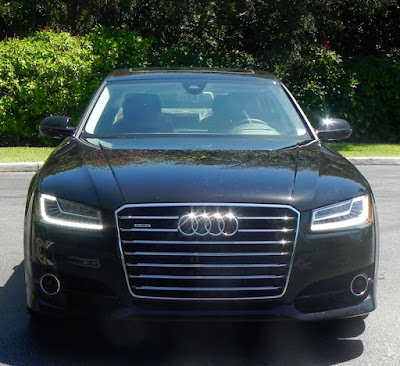 That it may be underrated or under-appreciated lies more with the biases of reviewers than it is anything Audi has or hasn’t done with the A8. With the W12 and diesel versions on hold for at least a while, the Audi A8L comes with the choice of one of two engines for 2017. A turbocharged, 3.0-liter V6 sends 333 horsepower and 325 pound-feet of torque to all four wheels via Audi’s quattro all-wheel drive system, and a turbo, 4.0-liter V8 ups the numbers to 450 and 440, respectively. Both get an 8-speed Tiptronic automatic transmission with paddle shifters for manual gear selection if desired. The difference in performance is just over a second in zero-to-60 mph times with the V8 accomplishing it in 4.4 seconds and the V6 in 5.5, according to the company. Fuel economy is only slightly better with the V6. EPA figures are 19 miles-per-gallon city, an impressive 29 highway, and 22 combined for the V6 compared to 18/29/22 for the V8. Essentially, then, the choice basically comes down to your willingness to pony up $9,000 more for the V8 over the starting MSRP of $82,500 for the V6. But you won’t be disappointed with the V6. Operating mostly in Sport and dynamic modes, I found that the V6 offers all except what the most power-hungry would want out of a full-size luxury vehicle in the way of performance and without infringing on the comfort of more, um, sensitive passengers. The ride is extremely smooth as even in dynamic setting bumps are absorbed with alacrity. The L, for long wheelbase, is standard on both the V6 and V8 models, which means backseat riders get up to 42.9 inches of legroom. Despite its length of 207.4 inches, however, the trunk space is kind of stingy for the segment, only 14.2 cubic feet. Both the S-Class sedan and BMW 7-Series sedan offer more. The list of standard features is what you would expect from the class. Navigation, lots of leather, suede trim, Audi’s MMI interface for operation of infotainment features, full LED headlights (daytime running, high and low beam, turn signals), four-zone climate control, keyless entry and start-stop, Audi Parking System Plus with rearview camera, and Bluetooth hands-free communication are included. 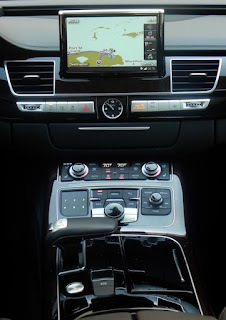 My test vehicle came with extras like 20-inch, 10-spoke wheels over standard 18s, a panoramic sunroof, top-view camera system, head-up display, Valcona sport seats with diamond stitching, rear-seat comfort package with ventilation and massage functions on outboard rear seats, adaptive cruise control, and lane-keeping assist. Add the $950 destination and delivery charge the total price ran to $92,500, which included a $5,400 executive package credit. Even that price makes the A8 one of the bargains in the segment. With buyers apparently holding off until the 2018 comes out (sales for the 2017 A8 were only 291 vehicles in April compared to 330 for April 2016 and are down 17.6 percent for the year over the first four months of last year), some good offers could be forthcoming on the 2017 Audi A8. Also, one of the major updates for the 2018 A8 is expected to be in the area of technological features. It will be interesting to see what that will include. What’s next in tech features? Are our cars going to do our taxes some day? Let’s hope that the Germans avoid their usual tendency of over-complicating these tech refinements. Styling no doubt will get some attention, too, but a radical departure in overall appearance isn’t likely. So you’re not going to be all that much dated if you go with a 2017 A8. 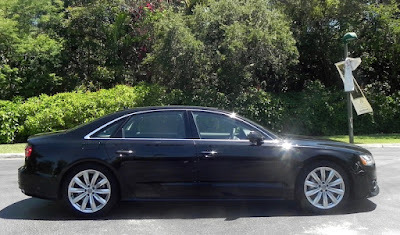 What I liked about the 2017 Audi A8L: This is a good size sedan that rides and handles like a smaller vehicle. As noted earlier, operating in Sport and Dynamic modes provides a fun driving experience. What I didn’t like about the 2017 Audi A8L: The dial for operating the MMI interface for audio and navigation features is placed at an odd spot just in front of the gear shifter. The driver has to reach forward to turn the knob. It needs to moved back a bit so that your hand falls naturally at the right spot. More irritating, however, is responses to voice commands. It was the most frustrating I’ve ever dealt with. No, dammit, I want Channel 55, not 50s on 5! Would I buy the 2017 Audi A8L? Yes. 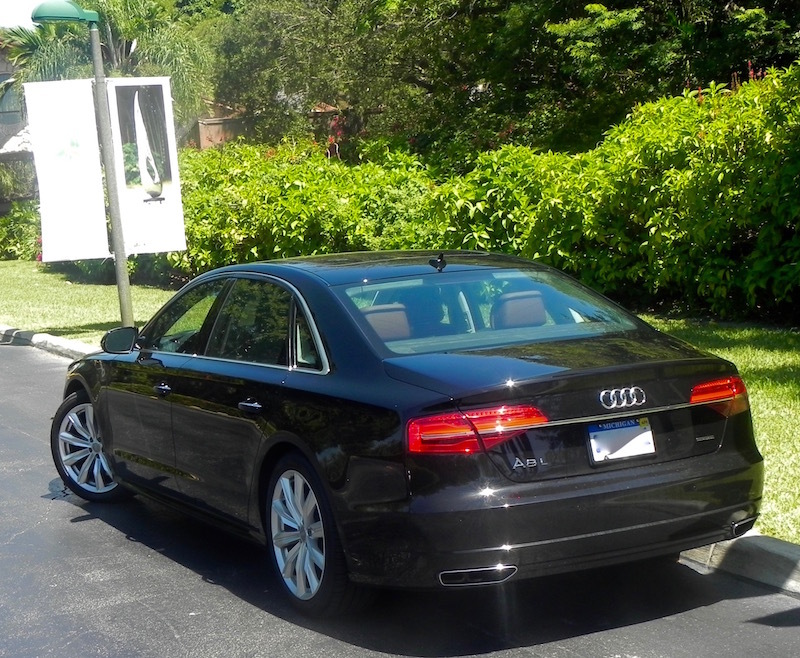 Even with a redesign coming up, you’re not going to have buyer’s remorse if you opt for the 2017 A8L. 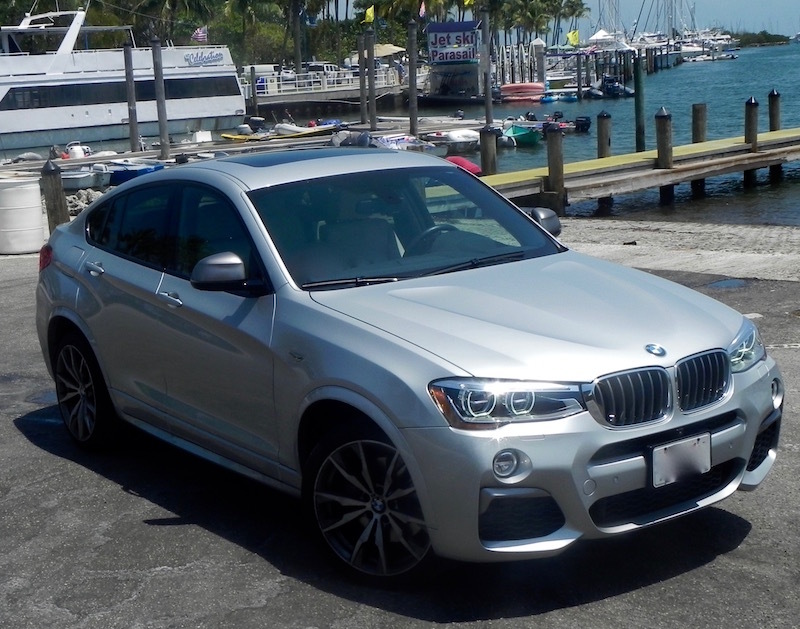 Chances are if you look for info on BMW’s X4 you’re going to find it listed with SUVs or maybe crossovers. For example, U.S. News & World Report in its compilation of reviews includes it in luxury compact SUVs along with its sibling the X3. But that’s really not quite right. The 2017 BMW X4 is what you might call a “tweener.” When it comes to hauling your stuff, the X4 comes up short of its competitors. It can handle a grocery run but a trip to Home Depot or Lowe’s could be another matter depending on how big your home improvement project is. Luggage for a family vacation also could be an issue. At the same time, it is a bit too big to be considered a mere hatchback or luxury sedan/coupe. So how does one classify the X4? BMW solves the issue by calling it a SAC, or Sports Activity Coupe. (Which brings up the entirely different issue of having four doors while being called as a coupe, a debate we’ll save for another day). The X4 followed the somewhat controversial X6 when it was shown at the 2014 New York Auto Show and marketed as a 2015 model. The X6 had been unveiled at the same show five years earlier and its radical styling, particularly when viewed from the back, made it a rather polarizing vehicle. You either liked the look, which had vestiges of Pontiac Aztec when viewed from the rear, or you hated it. 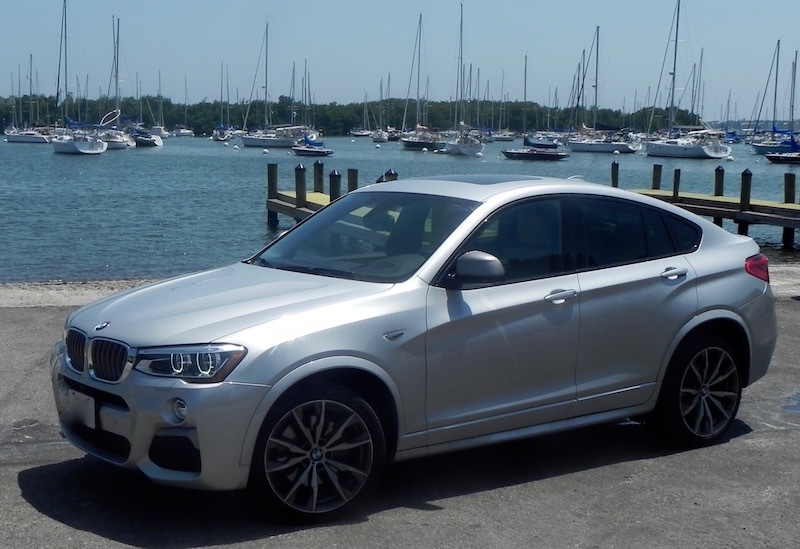 Because it is a bit smaller, however, the X4 gets away with that same general profile. The first X4 came in two trims, the xDrive28i and the xDrive35i. The former featured a 4-cylinder power plant, the latter a 6-cylinder. Both were turbocharged, and the xDrive designated both trims as all-wheel drive. 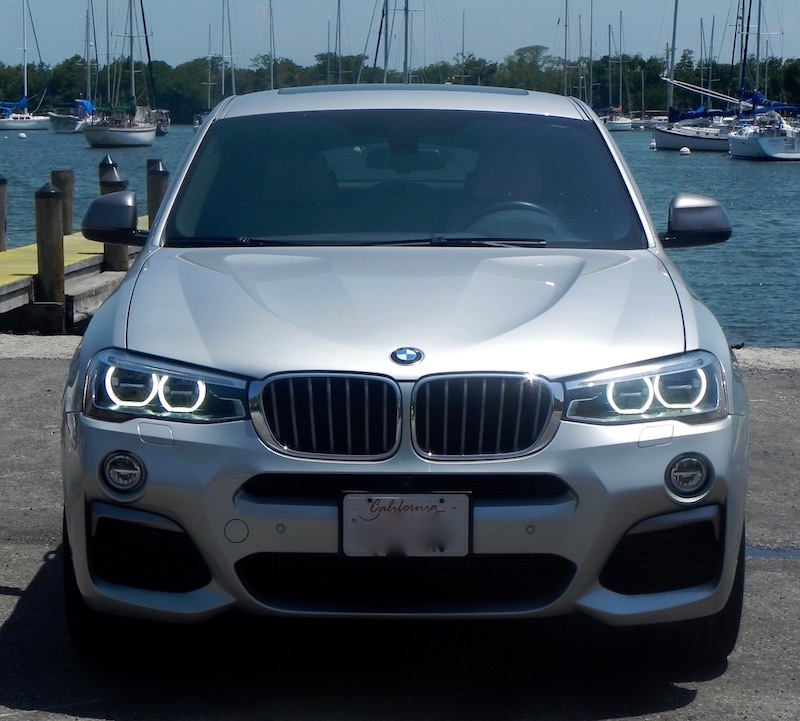 The xDrive28i version is still offered for 2017, but the top-of-the-line model has since grown into X4 M40i with a Twin-Power Turbo, 3.0-liter inline 6-cylinder engine that produces 355 horsepower between 5800 and 6000 rpm with a maximum 343 pound-feet of torque between 1350 and 5250. It is mated to an 8-speed Sportronic transmission with sport and manual modes (steering wheel-mounted addle shifters). That combination results in fuel mileage numbers of 19 miles-per-gallon city, 26 highway, and 21 combined drinking using recommended premium fuel. BMW says it will zip from zero-to-60 mph in 4.7 seconds, which puts it near the top of its segment. Slip the transmission into sport mode and the damping control from comfort to sport or sport-plus gives you the kind of responses and handling you might expect from a top-of-the-line sports car. And therein lies its strength. This so-called Sports Activity Vehicle is more about performance than it is anything else when it comes to SUV functionality — with the possible exception of its good looks and wealth of niceties. The latter include Nevada leather upholstery (look it up), power glass moonroof, M design touches such as the leather-wrapped M-Sport steering wheel, Harmon Kardon premium sound system, power sport seats, and automatic dual zone climate control as standard or no-charge options included in the base MSRP of $58,100. 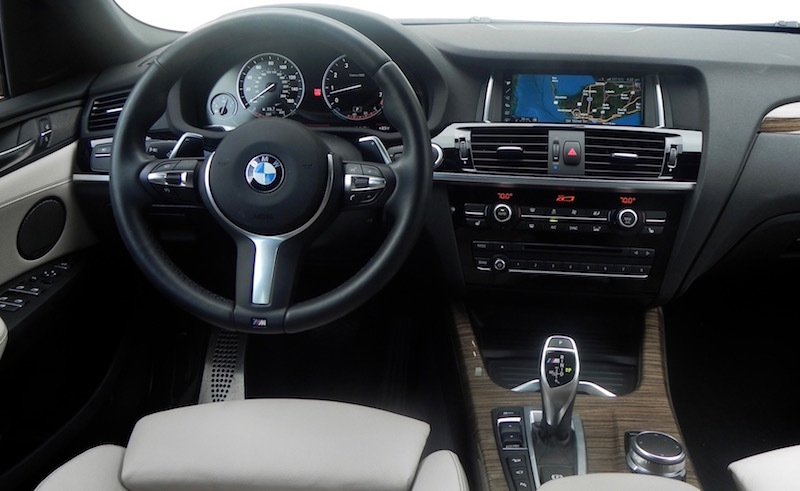 Add in some extras like a Technology Package that includes navigation, a head-up display for your speed (which is useless if you are wearing sunglasses with polarized lenses), and BMW Online and BMW Apps, and other options like 20-inch wheels instead of the standard 19s, a surround view camera, adaptive LED headlights, heated front and rear seats, and rear-view camera and the MSRP goes up to $67,495 (including the $995 destination and delivery charge. That makes for a pretty well-equipped vehicle, but when it comes to things you expect in an SUV like hauling capacity, forget it. 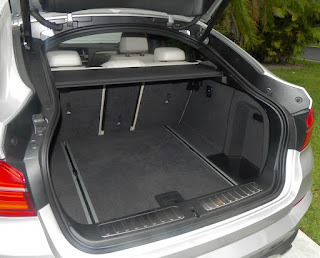 The 17.7 cubic feet of storage space behind the backseat is barely more than what you get in a full-size sedan, and it is further compromised by the slanting roofline that limits the height of your cargo. 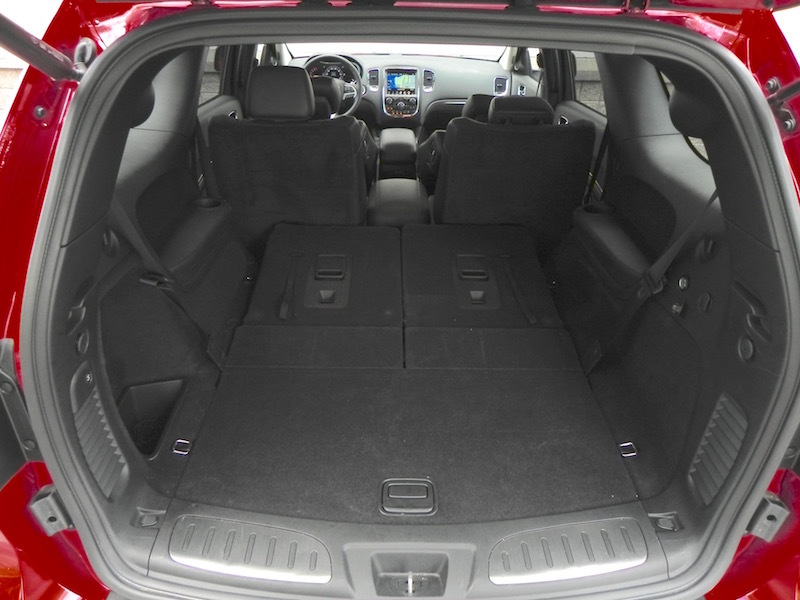 Fold the backseats and capacity is increased to 49.4 cubic feet, still short of several of its competitors, which include its sibling BMW X3. But the “M” design tweeks are nice. 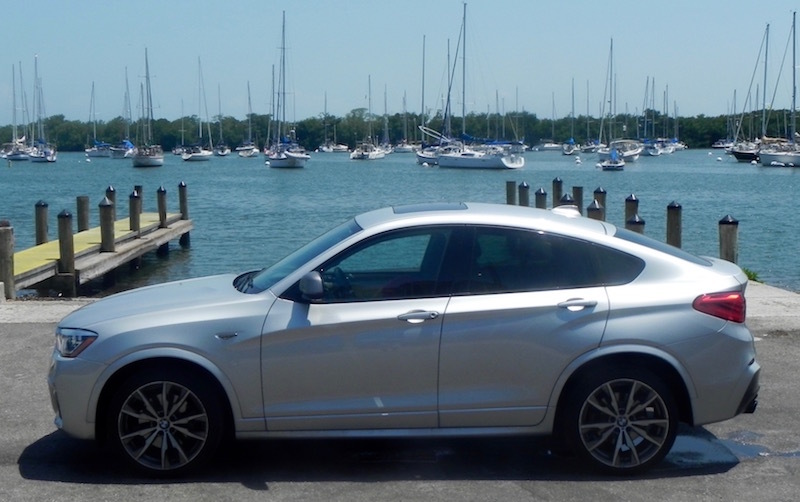 What I liked about the BMW X4 M40i: Besides the impressive driving performance, a little feature caught my fancy. It’s not new, in fact it’s been around for at least a decade on even non-luxury vehicles, but the auto hold function is a very nice addition. I don’t know why more manufacturers don’t pick it up. You press a button on the console and then every time you come to a complete stop, the parking brake is automatically set. This keeps the car from creeping forward and tapping the rear of a vehicle in front of you and also keeps you from rolling backward if you are on an incline. Yes, you can keep your foot on the brake and accomplish the same thing, but auto hold allows you to scramble to pick up anything that may have fallen on the floor. Please note: This is not the annoying start-stop system that shuts off the engine (though the X4 M40i has that feature as well) but simply a braking system. Responses to voice commands also are quick and sure. 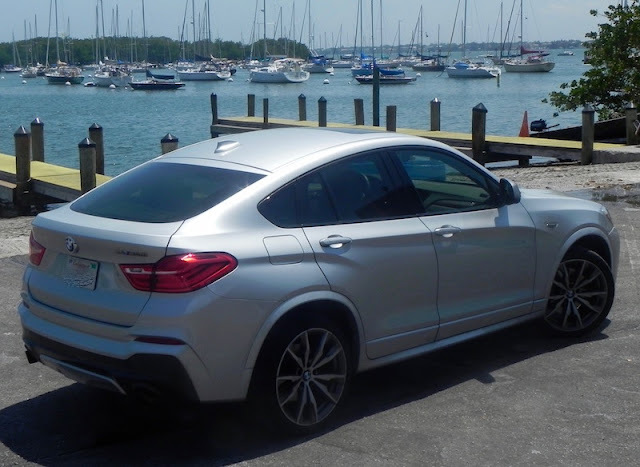 What I didn’t like about the BMW X4 M40i: I tested the navigation system just once, and it took me on a rather round-about route to my destination, routing me to parallel streets for seemingly no particular reason. Turn directions kept referring to streets as State Route X instead of their more common name or street number. I don’t know what it may be like in Spartanburg, South Carolina, the final assembly point for the X4, but in South Florida, not many drivers are going to recognize many roads by their State Route number. Would I buy the BMW X4 M40i: No. The biggest thing in its favor is its driving dynamics, and it does have the advantage of giving you a high seating position over the usual sports sedan or coupe. But that’s not what I’m looking for in a Sports Utility, er Sports Activity, Vehicle.